Tianxiong Textile City is located in Guangzhou Dadao Nan, good location, north Tianhe railway station, city highway, out of Dongguan, peace, Shenzhen, south Luoxi Bridge, under Panyu, Shunde, Zhuhai, contacts around the vehicle is not in single and double points on travel, transportation is very convenient. 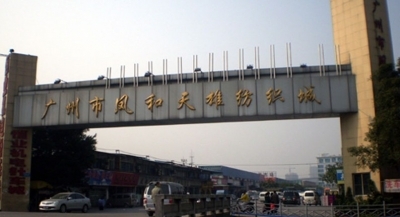 Tianxiong Textile City is a modern wholesale market features a large fabric, both the design, management, marketing, have sought to regulate. "Tianxiong" One of the features is its business customers from all different regions and countries of the peace and quiet and friendly merchants rent stalls in this business, domestic Shandong, Liaoning, Zhejiang, Jiangsu, Hubei and other provinces more than 700 state-owned for a war camp and the private sector; from Hong Kong, Taiwan, Singapore, South Korea, Japan, merchants doing my part, brought a distinctive product careful management. In the past, insiders have a habit of saying: buy imported cloth to Keqiao (Zhejiang), but "Tianxiong" was published, many people find that after the purchase do not run around because of domestic and imported here, knitting, fiber , wool and linen, cotton, silk cloth and other kinds of everything, even the cloth, leather and garment accessories is also no shortage of everything. Tianxiong Textile City is willing to cooperate with the integrity of all parties to seek long-term economic and social benefits to health, clean, noble purpose as a service to wide goods, goods excellent, inexpensive to operate the direction of warm welcome to visit us .